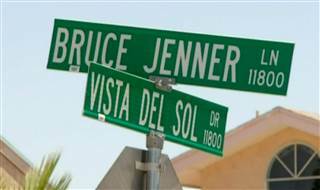 That’s really not very fair to the people who live on Bruce Jenner Lane, Street, Road, Avenue. The streets were named in honor of Bruce Jenner the man who won in the Olympics. That wasn’t Caitlyn back then it was Bruce! If they or she wants to change it don’t! Or like one man said in the article “find another idol”. This is my opinion. Do you live on Bruce Jenner LN. ?